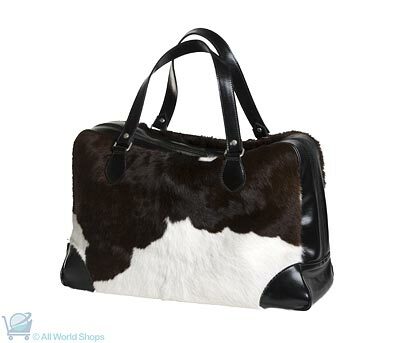 Beautifully Crafted with New Zealand cow hid – with the soft, stroke able fur still attached. Designed to fit all your essentials and more. Easy on the eye and on the go. With zippered pocked and two small pouches inside to keep your valuables secure and safe. The sturdy leather handles gives an extra enforcement and reassurance that its long lasting and will survive the most adventurous get away.